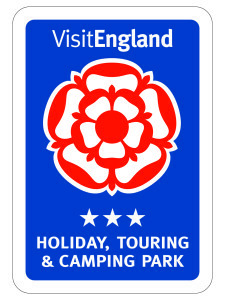 Welcome to Long Meadow Campsite, located in the heart of the beautiful New Forest National Park. Pitch prices and information for the 2019 season can be found below. To book a break at Long Meadow please use the online booking system. Alternatively why not give us a call on 01590 622489. View our 2019 Long Meadow Campsite Map which provides pitch numbers and locations of pitches. A £20.00 deposit per pitch is required when booking. This will then be deducted from your final payment which is due 7 days prior to arrival. Please note that if the booking is cancelled, the booking fee is non-refundable. We have 18 electrical hard-standing pitches, 10 grass electric pitches and 72 non-electric grass pitches. All pitches are allocated prior to arrival. To book or to enquire about availability, please contact us on 01590 622489. Minimum 2 nights advance booking during peak season. Whilst we endeavor to reserve the pitch of your choice, we do not guarantee to do so and notified pitch numbers may be changed at our discretion. A maximum of six people are permitted to stay on each pitch. It is essential to check your pitch number on arrival. Copyright © 2019 Long Meadow Campsite. All rights reserved.